On Saturday, I was incredibly indecisive about what I wanted to wear. 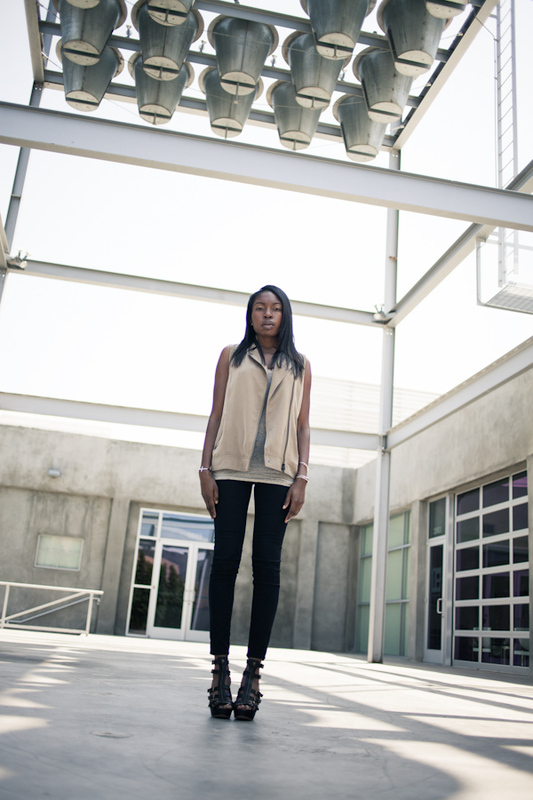 I stared into my closet for what felt like forever and a day, and then I finally decided to break out the vest. To me, a vest is totally one of those pieces in your closet that you can throw on with pretty much anything, and it just kinda works. Two things I dig about this one is the slightly moto look, and the warm sandy shade. Amazing pictures and really nice look on you! The material of the vest looks so soft and beautiful, and i love the shape. Great look! 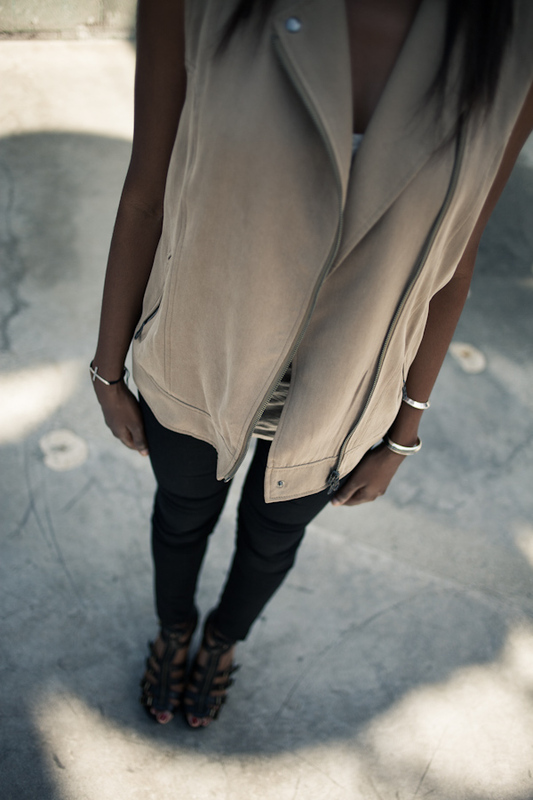 I love that neutral vest. Club Monaco has some really nice pieces. You look like an All Saints model! I love it! Following you now, check us out! You are so beautiful and this outfit looks so amazing on you! Nice outfit! Love your style! Great look! 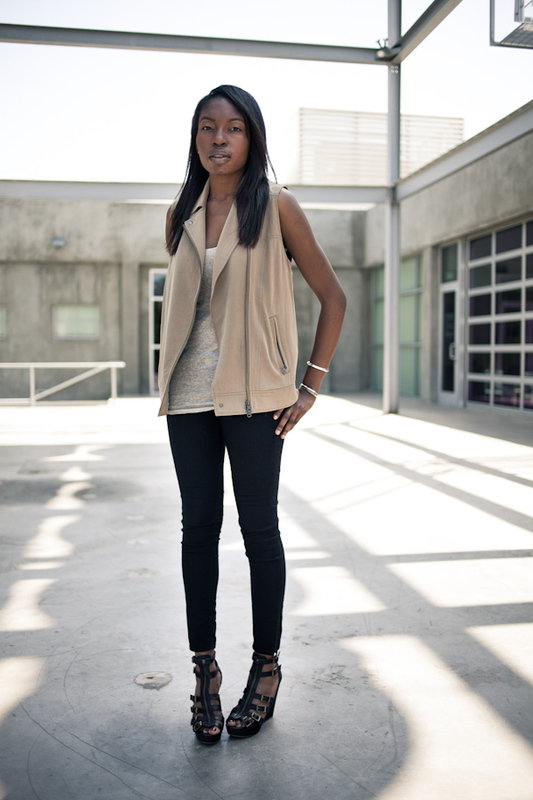 Love your vest and shoes! Your blog is great. I totally love it!!! very slick! 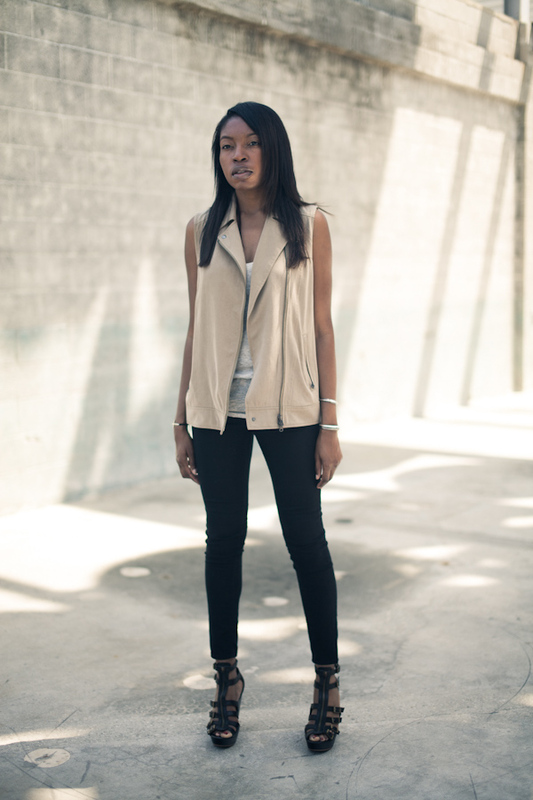 a vest can be tricky but you know how to rock it! So good, loving the vest and the color on you! Amaaaazing photography as always! I really need this post! 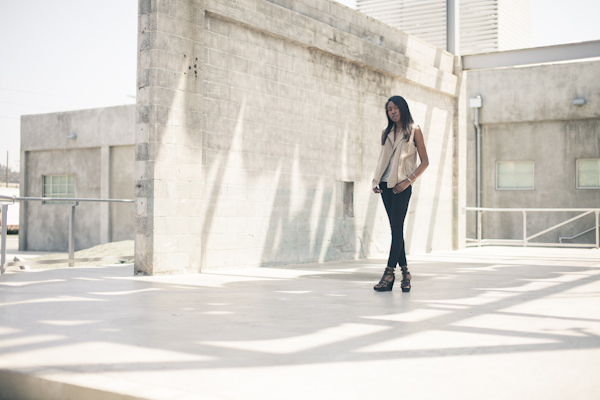 I was at an All Saints store recently and a leather vest caught my eye. I love the cut and fit but had no idea how to coordinate that into my existing wardrobe. Now I know! I’ll head back to All Saints later this week to give it another try.